I received this gorgeous minty necklace from the sweet JenHoodenpyle. Her designs are absolutely stunning! If you haven't already checked out her etsy shop, you need to get on it. Her pieces will wow you!! (you can see a previous outfit post, featuring a Jen Hoodenpyle necklace HERE). 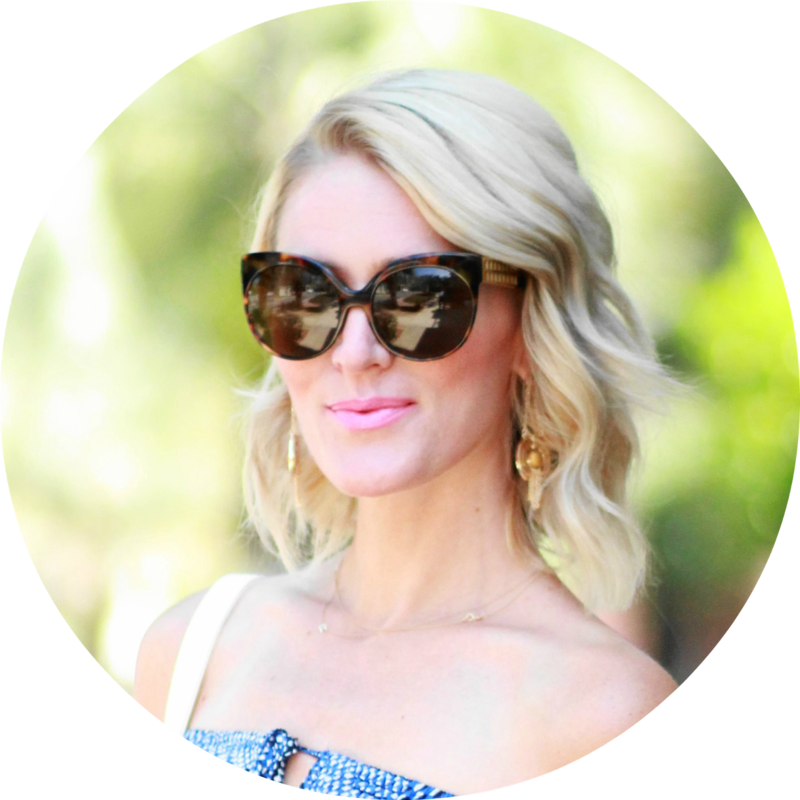 This necklace is definitely glamorous, so I wanted to really change things up a bit and pair it with an edgier vintage outfit. I love the juxtaposition of girly chic items paired with edgier pieces. This open sweater cardi is one of my fave vintage pieces. Love the white icicle-like detailing on the shoulders. Stay tuned for a giveaway with JenHoodenpyle next week on the blog! You can enter for a chance to win your own custom neck candy by JenHoodenpyle! You're on the roll girl!! Gorgeous cardigan and boots! gorgeous necklace, will def. check her shop out! Gorgeous necklace! 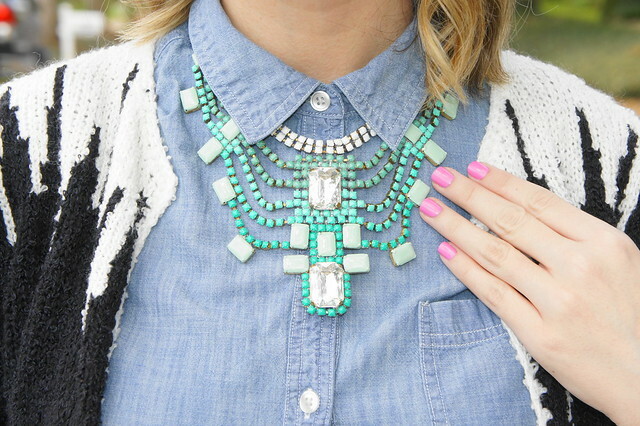 Love it with the chambray top! Amazing necklace, lucky girl, wish JenHoodenpyle would send me one too..ha! p.s. I'm giving away a Tart lace top on my blog- a perfect me V-day gift!! I love love love your leather skirt!